Practical material on a Real-Time PCR for the Bioinformatics BioMedSci/Intercalated BSc in Gene Expression and an additional practical tutorial just specifically on Taqman primer and probe design for eukaryotic genes expression. The PBIL (Pôle Bio-Informatique Lyonnais) World Wide Web server - developed at the Laboratory of Biometry and Evolutionary Biology and the Institute of Biology and Chemistry of Proteins - is dedicated to molecular biology and ecology. Mircosoft Biology Foundation The Microsoft Biology Foundation (MBF) is a language-neutral bioinformatics toolkit built as an extension to the Microsoft .NET Framework. Currently it implements a range of parsers for common bioinformatics file formats; a range of algorithms for manipulating DNA, RNA, and protein sequences; and a set of connectors to biological Web services such as NCBI BLAST. MBF is available under an open source license, and executables, source code, demo applications, and documentation are freely downloadable. miRBase (http://microrna.sanger.ac.uk/) is the new home of microRNA data on the web, providing data previously accessible from the miRNA Registry. Old miRNA Registry addresses should redirect you to this page. The miRBase Sequence Database is a searchable database of published miRNA sequences and annotation. The data were previously provided by the miRNA Registry. The miRBase Registry continues to provide gene hunters with unique names for novel miRNA genes prior to publication of results. The miRBase Targets database is a new resource of predicted miRNA targets in animals. PDB WWW Home Page: repository for the processing and distribution of 3-D biological macromolecular structure data. CATH is a manually curated classification of protein domain structures. Each protein has been chopped into structural domains and assigned into homologous superfamilies. Protein Mutant database provides information on what kinds of functional and/or structural influences are brought about by amino acid mutation of protein. The Protein Mutant Database (PMD) is based on literature reports. The Sanger Centre Web Server one of the leading genomics centres in the world, dedicated to analysing and understanding genomes. Provides access to Software tools for interogating the genonme of selected organisms. The Ensembl Genomes project produces genome databases for important species from across the taxonomic range, using the Ensembl software system. Five new sites will be launched within the first half of 2009. Ensembl Bacteria, Ensembl Protists and Ensembl Metazoa are already available; Ensembl Plants and Ensembl Fungi will be launched later in the Spring 2009. The 1000 Genomes Project is the first project to sequence the genomes of a large number of people and aims to provide a comprehensive resource on human genetic variation. The data from this project is freely available through the 1000 Genomes website and from each of the two institutions that work together as the project DCC: the NCBI and EBI.Since the project's launch, the data set has grown enormously: By 2012 at 200 terabytes — the equivalent of 16 million file cabinets filled with text, or more than 30,000 standard DVDs — the current 1000 Genomes Project records are a prime example of big data that has become so massive that few researchers have the computing power to use them. The world's largest set of data on human genetic variation — produced by the international 1000 Genomes Project — is now publicly available on the Amazon Web Services (AWS) cloud. Cloud access to the 1000 Genomes Project data through AWS is at http://s3.amazonaws.com/1000genomes/. FANTOM is an international consortium established originally in 2000 to assign functional annotations to the full-length cDNAs. It has since expanded into mapping transcripts, transcription factors, promters and enhancers in a wide range of mammalian cell types. GeneCards Homepage, GeneCards™ is a database of human genes, their products and their involvement in diseases. It offers information about the functions of all human genes that have an approved symbol. The Joint Genome Institute (JGI) established in 1997, is a consortium of scientists, engineers and support staff from the U.S. Department of Energy's Lawrence Berkeley , Lawrence Livermore, and Los Alamos National Laboratories. We aim to develop and exploit new sequencing and other high-throughput, genome-scale and computational technologies as a means for discovering and characterizing the basic principles and relationships underlying the organization, function, and evolution of living systems. DOE expanded its genomic research to include the Microbial Genome Initiative in 1994. NGRI Catalog of Published Genome-Wide Association Studies, publications listed include those attempting to assay at least 100,000 single nucleotide polymorphisms (SNPs) in the initial stage. Publications are organized from most to least recent date of publication, indexing from online publication if available. Studies focusing only on candidate genes are excluded from this catalog. Studies are identified through weekly PubMed literature searches, daily NIH-distributed compilations of news and media reports, and occasional comparisons with an existing database of GWAS literature (HuGE Navigator). Clinical Interpretations of Variants In Cancer (CIViC) CIViC is an open access, open source, community-driven resource for Clinical Interpretation of Variants in Cancer. The aim is facilitate greter understanding of precision medicine and the clinical significance of cancer genome alterations. See Nature Genetics. MycoDB a new on-line database dedicated to the comparative genomics of mycobacteria, corynebacteria, Tropheryma and related organisms. Influenza Research database NIAID launched this influenza virus database in 2004 to serve as a comprehensive, freely available global public database and analysis resource for the study of influenza viruses. This integrated database contains diverse data sets submitted directly from researchers, data imported from public databases, as well as information extracted from the scientific literature. WHO/TDR MALARIA DATABASE. "An INFORMATION RESOURCE for scientists working in malaria research", it contains a wide variety of information ranging from sequences to conference news. The Pig Genome Database (PGD)The completion of the pig draft genome sequence marks a milestone in 20 years of pig genome studies. The Pig Genome Database (PGD) is to serve the purpose not only to bring together pig gene expression, quantitative trait loci (QTL), candidate gene, and whole genome association study (WGAS) results, but also to facilitate information integration and mining within the pig and across species. Mouse Genome Informatics (MGI) provides integrated access to data on the genetics, genomics, and biology of the laboratory mouse. Department of Computer Science, Wayne State University hosts a collection of GO tools which are free tools to academics and includes Onto-Express (OE) as a novel tool able to automatically translate gene lists of differentially regulated genes into functional profiles. The Gene Ontology web pages provides access to Ontologaical information using AmiGO 2, a Wiki tool AmiGO provides an interface to tools and resources for GO analysis. WEGO (Web Gene Ontology Annotation Plot) is a useful tool for plotting GO annotation results. GeneCodis3 is a web-based tool for the ontological analysis of large lists of genes. It can be used to determine biological annotations or combinations of annotations that are significantly associated to a list of genes under study with respect to a reference list. It is able to produce not only annotated lists but also some nice graphical displays of the output. MBGD is a database for comparative analysis of completely sequenced microbial genomes, the number of which is now growing rapidly. The aim of MBGD is to facilitate comparative genomics from various points of view such as orthologue identification, paralogue clustering, motif analysis and gene order comparison. 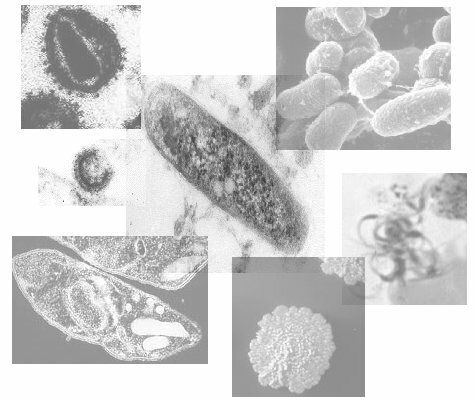 The Integrated Microbial Genomes (IMG) system provides a framework for comparative analysis of the genomes sequenced by the Joint Genome Institute. The IMG produce some very useful web based comparative genomics tools. NIH Roadmap has initiated the Human Microbiome Project (HMP) with the mission of generating resources enabling comprehensive characterization of the human microbiota and analysis of its role in human health and disease. The primary mission of the BioHealthBase system is to assist scientific researchers in their development of vaccines, therapeutics, and diagnostics. The National Institute of Allergy and Infectious Disease (NIAID) Division of Microbiology and Infectious Diseases (DMID) recognizes the challenge posed by bioterrorism, the emergence of disease due to drug-resistant variants of etiologic organisms. DMID has envisioned a consortium of Bioinformatics Resource Centers (BRCs) for Biodefense and Emerging/Re-emerging Infectious Diseases that will provide information technology (IT) support for experimental studies of pathogenic organisms that could be used for biowarfare and bioterrorist activities, many of which also pose an ongoing threat to public health. The NCBI BioSystems Database contains records from several source databases: KEGG, BioCyc, Reactome, the National Cancer Institute's Pathway Interaction Database, WikiPathways, and Gene Ontology (GO). The BioSystems database includes several types of records such as pathways, structural complexes, and functional sets. It may be used to interegate lists or mine information relating to individual proteins. It should be stressed the output is an ordered listing based on either percentage or frequency of proteins represented NOT significance. The BioCyc Knowledge Library is a collection of Pathway/Genome Databases. Each database describes the genome and metabolic pathways of a single organism, with the exception of the MetaCyc. Biocyc is proceeding toward our plan of transitioning to a subscription model in 2017. EcoCyc is a bioinformatics database that describes the genome and the biochemical machinery of E. coli. Database for Annotation, Visualization and Integrated Discovery (DAVID)is a web-based tool that provides integrated solutions for the annotation and analysis of genome-scale datasets derived from high-throughput technologies such as microarray and proteomic platforms. Analysis results and graphical displays remain dynamically linked to primary data and external data repositories, thereby furnishing in-depth as well as broad-based data coverage. The functionality provided by DAVID accelerates the analysis of genome-scale datasets by facilitating the transition from data collection to biological meaning. INOH (Integrating Network Objects with Hierarchies) is a pathway database of model organisms including human, mouse, rat and others. In INOH, the term pathway refers to higher order functional knowledge such as relationships among multiple bio-molecules that constitute signal transduction pathways or biological events in general. As most part of this knowledge resides in scientific articles, the database focuses on curating and encoding textual knowledge into a machine-processable form. The system contains a number of unique features to encode this type of knowledge. Biological terms such as protein names typically represent abstract, conceptual molecules that are used for unspecified organisms. Biologists interpret the name as a specific instance of protein using background knowledge. These abstract names are collected from the literature and are organized into an ontology to annotate abstract objects in pathways. In addition, each term has links to database such as SWISS-PROT and Gene Ontology (GO). An web based Ontology viewer and client program are available. COMPADRE (COMponent Pathways Analysis and Differential expression REmoval) is an R package to analyze pathways activity indexes. It is implemented as a web - based tool running an R package in the background and is primarily used for detection of differentially expressed pathways The Compadre R-package is also available for use in R.
Protein Kinase Resource, PKR aims to become a web accessible compendium of information on the protein kinase family of enzymes. The IGMS is a comprehensive information system that combines the knowledge from genomic sequence, genetic map and genetic disorders databases. Cytokines Web Provides information about cytokines and their receptors. Pathogen Host Interaction Database PHI-base> This database contains curated molecular and biological information on genes with published affect on the outcome of host-pathogen interactions. Information is also given on the target sites of some anti-infective chemistries. The NCRI's Oncology Information Exchange, or ONIX , enables scientists and clinicians to find cancer-related data and information from genomics studies and clinical trials. ONIX allows users to search cancer-related databases and includes information about what research is being carried out by which researchers. small RNA database, Small RNAs are broadly defined as the RNAs not directly involved in protein synthesis. Small RNAs are usually in the 75-400 nucleotides range, although some are as long as thousand base pairs. They are synthesized by either RNA Polymerase I, II or III. TransTerm - Translational Signal Database, a database of sequence contexts about the stop and start codons of many species found in GenBank. TransTerm also contains codon usage data for these same species and summary statistics for the sequences analysed. InterPro is an integrated documentation resource for protein families, domains and sites. It combines a number of databases that use different methodologies and a varying degree of biological information on well-characterised proteins to derive protein signatures. RefFinder is a easy to use web-based tool to evaluate reference genes. It brings together the three most commonly used algorithms implemented in geNorm, Normfinder, BestKeeper, and the comparative delta delta Ct method to compare and rank candidate reference genes. Based on the rankings from each program, It assigns a weighting to an individual gene and calculates the geometric mean of their weights for the overall ranking. Eppendorf has a web based calculator for simplifying your volume calculations Nothing that can't be done in Excel but saves on reinventing the wheel. Diagnostic SNPCheck is a bioinformatic web application for discovery/checking for Allelic variation in primer sets launched by NGRL Manchester in 2005 for batch checking of oligonucleotide primers for SNPs. It uses the latest build of the human genome from NCBI, and BLAST to identify the position in the sequence where the primers bind. The contents of the current release of dbSNP is used to identify if there are any known SNPs at the primer binding sites. Design custom LNA™-enhanced primer sets for mRNA and ncRNA. Free to use Exiqon web tool for designing high performance LNA primers compatible with SYBR® Green Master Mix kits. Array Designer (Premier Biosoft)- windows application designs primer pairs for PCR or oligonucleotide probes in batch mode. Amplicons or probes are tested for specificity by accessing the NCBI blast server and designed to standardised hybrisation PCR conditions. Fast PCR software for Microsoft Windows has specific, ready-to-use templates for many PCR and sequencing applications: standard and long PCR, inverse PCR, degenerate PCR directly on amino acid sequence, multiplex PCR Includes a good description of theory and formulae used. PrimerBank is a public resource for PCR primers. These primers are designed for gene expression detection or quantification (real-time PCR). PrimerBank contains about 180,000 primers covering most known human and mouse genes. SEQanswers is a next gen seuencing MediaWiki. SEQanswers was founded to be an information resource and user-driven community focused on all aspects of next-generation genomics Google map of known sequencing facilities in the UK. Illumina's Sequencing Coverage Calculator: This calculator helps with determining the Illumina reagents and sequencing runs that are needed to arrive at the desired coverage for an experiment. The Human OligoGenome Resource: a database of oligonucleotide capture probes for resequencing target regions across the human genome. Newburger DE, Natsoulis G, Grimes S, Bell JM, Davis RW, Batzoglou S, Ji HP. Nucleic Acids Res. 2011. "This online database contains over 21 million capture oligonucleotide sequences and enables selection of customized resequencing assays of target regions across the human genome. EBI Metagenomics service is a beta version an automated pipeline for the analysis and archiving of metagenomic data (Archieved in the SRA) that aims to provide insights into the functional and metabolic potential of a sample. DTU MLST Server The web server at the Center for Genomic Epidemiology at the Danish Technical University, accepts both raw read files and assemblies. BIGSdb web server software that can be installed on your local PC or server, so not for the faint hearted. It offers the ability to call MLST profiles from assembled genome data, as well as running upbespoke typing schemes. WGSA Whole Genome Sequence Analysis. A web application for the processing, clustering and exploration of microbial genome assemblies. Microreact allows you to upload, visualise and explore dendrograms (trees) linked to metadata containing geographic locations. Invitrogen's RNAi Block-iT RNAi Designer page According to Invitrogen "The designer uses a rational design scheme based on statistical analysis of multiple validated siRNA training sets and a proprietary algorithm to select unique target sequences that have a markedly improved probability of success in silencing the target gene"
MWG offers licensed1 custom siRNA and pre-designed siRNA synthesis with siMAX™ technology, the also provide a free web based design tool. See these companys Akceli; Inc.,Alnylam Pharmaceuticals,Ambion; Inc.,BD Biosciences CLONTECH; Dharmacon; Inc.,Imgenex Corporation; Mirus Corporation; Promega Corporation; QIAGEN N.V.; Sequitur, Inc.; Sirna Therapeutics, Inc.
ChemFinder Searching, Chemical Name, CAS Number, Molecular Formula or Weight. PubChem is an open chemistry database at the National Institutes of Health (NIH), in 2018 the database had collated data for over 96 million compounds. Links to Databases, From this page you can access an ever increasing number of biological and related links. The number of entries in the database currently exceeds 2500. Stanford’s Ovarian Kaleidoscope Database. This database focuses on Ovarian gene expression however the subjects are covered via a mixture of published figures, collections of relevant genes and a searchable database with many user-configurable specifications. NEBcutter a web tool provided by New England Biolabs that uploads a DNA sequence and finds, non-overlapping open reading frames using the E.coli genetic code and the sites for all single cuttimg Type II restriction enzymes. The RNA World web resource lists Internet links on RNA tools resources and databases. Cell Line Data Base Servizio Biotecnologie, Istituto Nazionale per la Ricerca sul Cancro, Italy.CLDB, the first database set up within the Interlab Project, contains detailed information on 4.850 human and animal cell lines that are available in many Italian laboratories and in some of the most important European cell banks and cell culture collections. CGSC: E.coli Genetic Stock Center The CGSC Database of E.coli genetic information includes genotypes and reference information for the strains in the CGSC collection, gene names, properties, and linkage map, gene product information, and information on specific mutations. Invitrogen in 2005 made available a series tools to non-for-profit organisations including Vector NTI, Vector Designer, OligoPerfect Desinger and LuxTM Designer along with other online tools such as clickable pathway maps linked to gene and protein information iPath™ contains 225 interactive maps of biological signaling and metabolic pathways. So I want to learn bioinformatics! Advice and guides for beginners. Nick Loman's Blogg on the subject is an interesting read. Having posed the question on Twitter a common suggestion posted by many people seems to be “learning by doing” and that unless you have a problem to solve learning is demotivationg and seemingly pointless. Three free books on R for Statistics: Little Book of R for Multivariate Analysis!, Little Book of R for Biomedical Statistics! and Little Book of R for Time Series! MSight, created by the Proteome Informatics Group, was specifically developed for the representation of mass spectra along with data from the separation step. The software allows graphical exploration inside huge datasets. EZ-Retrieve :A web-server for batch retrieval of coordinate-specified human DNA sequences and underscoring putative transcription factor-binding sites. Transcription binding site search tool and Veiwer. An easy to use interface can be installed & run from your desk top. Scriptome project tool box aims to provide experimental biologists with tools for exploring and manipulating biological data. The site provides perl scrpits which can be copied & pasted in an x-windows session to help bench biologists to "eyeball", filter, format, and analyze the many large files they get from those and other programs. Gibbs Sampler The Gibbs Motif Sampler will allow you to identify motifs, conserved regions, in DNA or protein sequences. see Thompson W, Rouchka EC, and Lawrence CE. (2003) Gibbs Recursive Sampler: finding transcription factor binding sites. Nucleic Acids Res. 31(13):3580-3585. Free to academics also see Tamura K, Peterson D, Peterson N, Stecher G, Nei M, and Kumar S (2011) MEGA5: Molecular Evolutionary Genetics Analysis using Maximum Likelihood, Evolutionary Distance, and Maximum Parsimony Methods. Molecular Biology and Evolution 28: 2731-2739. Also see the Resources links from the Mega download page including a "A Walk Through MEGA"
ThermonucleotideBLAST is a downloadable source code for searching a target database of nucleic acid sequences using an assay specific query. ThermonucleotideBLAST queries are based on biochemical assays (i.e. a pair of oligonucleotide sequences representing PCR primers or Padlock probes, a triplet of oligos representing PCR primers and a TaqMan probe or a single oligo representing a hybridization probe). Unlike existing programs (i.e. BLAST) which use heuristic measures of sequence similarity for identifying matches between a query and target sequence, ThermonucleotideBLAST uses physically relevant measures of sequence similarity -- free energy and melting temperature. webPRANK is an easy-to-use web interface to the PRANK alignment algorithm. It supports all the main features of the command-line program PRANK and includes a powerful alignment browser with features similar to those found in the graphical interface PRANKSTER. webPRANK can also upload and display pre-run and saved PRANK alignments. BCM Search Launcher: Multiple Sequence Alignments. DIALIGN is a novel program for multiple alignment developed by Burkhard Morgenstern et al.and constructs pairwise and multiple alignments by comparing whole segments of the sequences. This approach is very efficient where sequences are not globally related but share only local similarities, as is the case with genomic DNA and with many protein families. VMatch software tool for efficiently solving large scale sequence matching tasks. It uses string comparisons and masking to make multiple alignments to reveal unique sequences across many genomes and is very fast. Unfortunately Vmatch must also be run locally. BioCyc have a pathway viewer in which data can be ovelayed on genome pathways of interest: use it through the Web or by installing our locally. To use it through the Web, go to this page Omics Viewer . It includes documentation on file formats, etc. Biocyc is proceeding in early 2017 toward our plan of transitioning to a subscription model free access will no longer be avaialable from that time. see Oliveros, J.C. (2007) VENNY. VENNY is an easy to use interactive tool for comparing lists with Venn Diagrams. Multimedia Presentations About Java Roumen provides useful links to many multimedia presentations where you can learn more both about various Java technologies and Java IDE's. Bio++ is a set of C++ libraries for Bioinformatics, including sequence analysis, phylogenetics, molecular evolution and population genetics. Bio++ is a Object Oriented and is designed to be both easy to use and computer efficient. Bio++ intends to help programmers to write computer expensive programs, by providing them a set of re-usable tools. Drug Discovery OnLine Journals: four online-only review journals: Disease Mechanisms, Disease Models, Therapeutic Strategies, and Technologies. SpringerLink is one of the world's leading interactive databases for high-quality STM journals, book series, books, reference works and the Online Archives Collection . SpringerLink is a powerful central access point for researchers and scientists. The ISI Web of Knowledge **Service for UK Education provides a single route to all the Thomson Scientific products subscribed to by your institution. Scirus is the most comprehensive science-specific search engine available on the Internet, linking to more than 167 million indexed scientific pages and documents. With Scirus you can search through a variety of sources, such as Medline, ScienceDirect, BioMedCentral, preprint servers, patents and web sites relevant for your research. Google Scholar is search engine able to carry out "deep searches" and is extremely good at specifically finding literature, including peer-reviewed papers, theses, books, preprints, abstracts and technical reports from all broad areas of research. SciGlobe Literature Search Engine run by SABiosciences specifically for the biomedical literature that uses the power of Conceptual Relationship Searching, a cutting-edge linguistic technology, to quickly find and deliver the most relevant search results. Google Schloar is a new beta search engine able to carry out "deep searches" and is extremely good at specifically finding literature, including peer-reviewed papers, theses, books, preprints, abstracts and technical reports from all broad areas of research. National Library of Medicine The Library collects materials in all areas of biomedicine and health care, as well as works on biomedical aspects of technology, the humanities, and the physical, life, and social sciences. It includes searchable information resources for the layman such as MedLinePlus and health professional. MedlinePlus is one of the services provided to the US National Library of Medicine and the NIH. It provides a searchable links to medical resources in US, the dictionary is particularly useful for clarifying terminology and provides cross indexing to the equivalent UK spelling and terminology. http://www.nice.org.uk/ National Institute for Health and Clinical Excellence. Welcome to the Department of Health Providing health and social care policy, guidance and publications. Almost all current and many old DH publications, including statistical reports, surveys, press releases, circulars and legislation, are available in electronic form in this section. To find what you're looking for, type search terms into the publications library (by following the link to the right), or browse by category with the links below. xray2000.co.uk Is a Radiological resoucre consisting of a huge collection of images including x-ray, MRI and CT along with a wealth of other material. Wikipaedia good genreal Information Web-based, free-content encyclopedia. Please remember some care should be taken to cross validate internet sources. Patient.co.uk was first launched in 1997 by PiP (Patient information Publications) as a partnership between two GPs in Tyne and Wear, although now a joint venture between PiP and EMIS the ethos has not changed and this site aims to bring high quality medical information to the Patients and Doctors. CKS NHS Clinical Knowledge Summaries (formerly PRODIGY) are a reliable source of evidence-based information and practical 'know how' about the common conditions managed in primary care. They are aimed at healthcare professionals working in primary and first-contact care. Best Practice produced by the BMJ, a single source combining the latest research evidence, guidelines and expert opinion – presented in a step-by-step approach, covering prevention, diagnosis, treatment and prognosis. PathCAL is a set of student tutorials on clinical biology, pathology etc, aimed at those learning the basics of disease, it is a particularly good resoruce for BCS revision. PathCal can be accessed both through IP address and institutional log on. Claire Aland, Senior Lecturer in Anatomy, has put together a page in Moodle for anatomy resources called "Human Anatomy Study Resource Centre"
Pub Med Books has several good neuroscience text books available on-line Basic Neurochemistry, Molecular, Cellular, and Medical Aspects 6th ed. and Neuroscience. 2nd ed. WEBVISION text book on NCBI book shelf see the "Foundations" has a section on the "gross anatomy of the eye" and "simple anatomy of the retina"
An Overview of the Nervous System in Clinical Methods Third Edition Walker, H.K. ; Hall, W.D. ; Hurst, J.W. The Library has subscribed to Cell Signalling Biology. This is online resource to describe the biology of cell signalling. It may be accessed from any SGUL networked computer. Go to the http://www.cellsignallingbiology.org/. The BBC podcast home page for health and well being. Past radio programs such as Radio 4 Case Notes are only available as a pod cast (MP3 file) for a limited time but are available by streaming to an internet capable device or computer. PulseToday is a weekly medical publication circulated to GP's and other HealthCare workers. The pulsetoday.co.uk web site requires free regitration but has some interesting articles and resources. Pulse launched a series of educational clinical skills videos in 2010, giving a practical demonstration of some procedures within primary care. The CPD portal has been extended with a range of new or updated modules (only a limited range of these are free). "Meducation is a community of over 20,000 medical professionals and students". Sharing information, resources and ideas. This web site has both a range of free and subscription only exam resources including EMQ, SBAs and MCQs. One of the attractive aspects of this is that cut price subscription is available for short periods for example a months duration. OnExamination is Part of the BMJ gruop providing educational and learning resources for the medical profession this is a subcription resource so not free. OnExamination provides examination resources at all levels of the medical curriculum including both pre-clinical and clinical years. "PassMedicine This is the third of the most commonly used exam resources. it is subdivied into different components "Applied Knowledge Test", "Medical student finals" both based on SBAs, "Foundation Program SJT" but is not targeted by year.